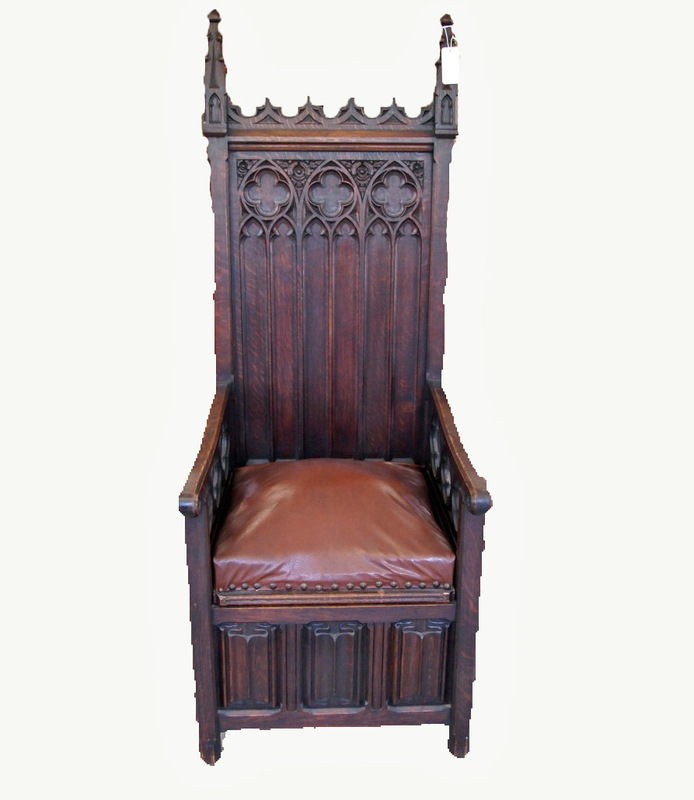 A late 19th century French Gothic Revival style oak throne chair. Rectangular back with three quatrefoil enclosed within arches, above an upholstered seat flanked by quatrefoil-pierced arms, linenfold-like motif about the base. Original finish shows minor wear. Brown vinyl upholstery is not original. Measures 24″ wide, 25 1/2″ deep, and 63 1/2″ high. $1,250.00.